We found Southwest Florida Gulf Coast Tide Charts, just click on the “Tides” icon below to find current tide charts for Marco Island, FL. Share your Marco Island – Naples FL reviews or ask us about visiting Marco Island Florida. To feature your business, contact us. Sunshine Tours offers the best in Offshore, Back Country and Near Coastal Fishing, Island Shelling and Sightseeing aboard one of our four fishing boats. Since 1984, Sunshine Tours has provided unsurpassed on-the-water experiences for locals and visitors alike. Shared and private charters available. The Marco Island Princess is a 90' luxury yacht offering daily Sightseeing, Lunch and Sunset dinner Cruises. enjoy delicious meals, two cash bars and a great view. Also available for Weddings and Private Charters. Marco Island's most unique dining experience! Explore the natural habitat and wildlife eco-system of the south Florida Everglades. Our two and a half hour eco-nature tour starts in the heart of the Everglades where you will see manatee, then takes us out into the middle of the estuaries of the 10,000 Island to observe the Everglades wildlife. Welcome aboard! Black Pearl Pirate Ship Cruises - Marco Island Private Charters, Sunset Cruises, Interactive Adventures. Join the fun on the Gulf of Mexico and let your pirate out with the whole family. We offer a variety of fantastic boating experiences in Marco Island, FL, including interactive pirate-themed tours, sunset cruises, and even private charters for birthdays, weddings, business, or any other event you may have. Join us for an Awesome Adventure on the water. Gain access to the most beautiful beach on Marco Island. If you own improved property or rent on Marco Island for one month or longer, you are eligible to join Residents Beach! 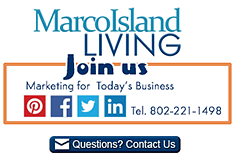 The Marco Island Civic Association (MICA) is the oldest and largest civic group on Marco Island, Florida, contact us for more information. Get to know our local dolphins on a Marco Island dolphin cruise. The 10,000 Islands Dolphin Project is a long-term study of the abundance, distribution, movement, association patterns, and behavior of bottlenose dolphins of Southwest Florida. Join us. Severe Thunderstorm Warning issued April 19 at 2:44PM EDT until April 19 at 3:00PM EDT by NWS Severe Thunderstorm Warning issued April 19 at 2:44PM EDT until April 19 at 3:00PM EDT by NWS - ...A SEVERE THUNDERSTORM WARNING REMAINS IN EFFECT UNTIL 300 PM EDT FOR SOUTHEASTERN FLAGLER COUNTY... At 244 PM EDT, a severe thunderstorm was located over Flagler Beach, moving northeast at 45 mph. HAZARD...60 mph wind gusts. SOURCE...Radar indicated. Severe Weather Statement issued April 19 at 2:44PM EDT until April 19 at 3:00PM EDT by NWS Severe Weather Statement issued April 19 at 2:44PM EDT until April 19 at 3:00PM EDT by NWS - ...A SEVERE THUNDERSTORM WARNING REMAINS IN EFFECT UNTIL 300 PM EDT FOR SOUTHEASTERN FLAGLER COUNTY... At 244 PM EDT, a severe thunderstorm was located over Flagler Beach, moving northeast at 45 mph. HAZARD...60 mph wind gusts. SOURCE...Radar indicated. Rip Current Statement issued April 19 at 2:44PM EDT until April 19 at 10:00PM EDT by NWS Rip Current Statement issued April 19 at 2:44PM EDT until April 19 at 10:00PM EDT by NWS - ...HIGH RIP CURRENT RISK REMAINS IN EFFECT UNTIL 10 PM EDT THIS EVENING... * TIMING...through at least this evening. * IMPACTS...Life threatening rip currents will pose a hazard to swimmers. Heed the advice of lifeguards. Swimming is not recommended. Special Weather Statement issued April 19 at 2:32PM EDT by NWS Special Weather Statement issued April 19 at 2:32PM EDT by NWS - ...SIGNIFICANT WEATHER ADVISORY FOR NORTHWESTERN SEMINOLE... NORTHEASTERN LAKE...NORTHWESTERN ORANGE AND VOLUSIA COUNTIES UNTIL 315 PM EDT... At 231 PM EDT, Doppler radar was tracking strong thunderstorms along a line extending from 7 miles west of Ormond-By-the-Sea to near Lake Apopka. Movement was northeast at 55 mph.